The BC Liquor Stores have some recommendations for you to buy California wines during the Vancouver International Wine Festival, which kicks off on Feb. 25, 2019. Here is their press release. Enjoy. The highly anticipated Vancouver International Wine Festival this year is featuring California as the theme region, making this the perfect time to explore the wines of the Golden State. 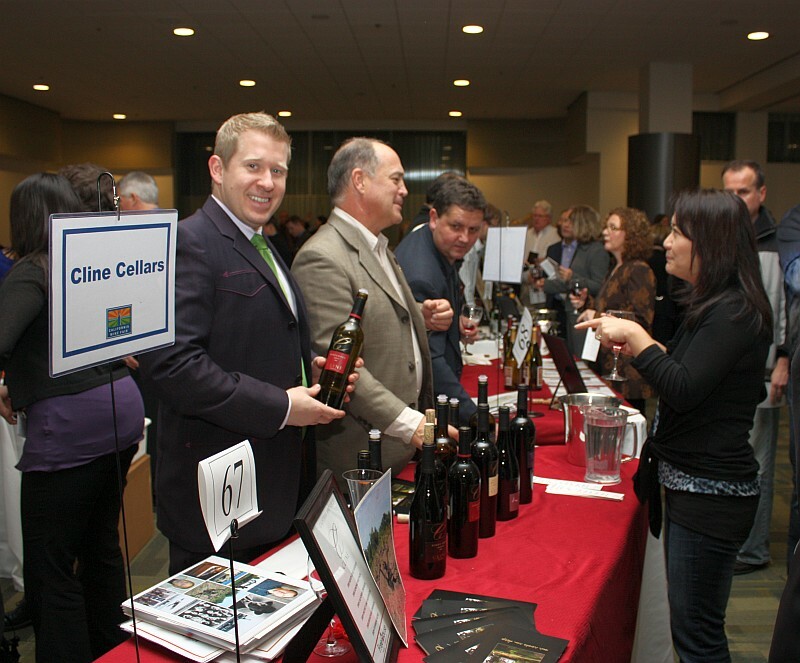 Winery principals representing 160 wineries from 15 countries will travel to Vancouver to showcase their wines. Visit the onsite BC Liquor Store Festival Wine Shop for a selection of BCL Select exclusive, festival exclusive and collectible bottles signed by the winemakers themselves to add to your cellar or give as a gift. What makes California wines so exciting right now? California has been blessed with fantastic vintages for the past seven consecutive years from 2012 to 2018. The majority of California wines featured at this year’s festival will be from the 2015 and 2016 vintages. In the 2015 vintage, the challenging growing season resulted in wines that are high quality but with low yields. The 2016 vintage experienced a near-perfect growing season. 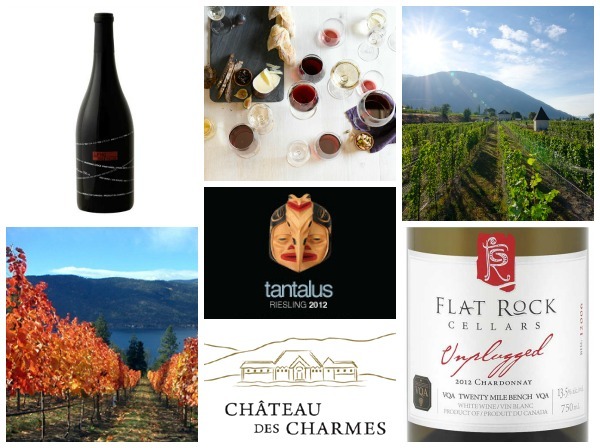 Come out to the BCWAS 8th Generation Vineyard wine tasting on Thursday April 21 and experience more BC wine. There are so many BC wineries around now. I am in particular VERY interested to try their Riesling and Pinot Noir, as I did a BC Riesling Review last year, and this year I am now starting my BC Pinot Noir Review. Here is the tasting announcement from the BCWAS. Join us for a fun tasting with Stefanie Schales of 8th Generation Vineyard! When Stefanie and Bernd Schales decided to call their winery “8th Generation” they really meant it. Their families have been making wine in Germany since 1783 – that’s a lot of history! Stefanie studied architecture while Bernd followed the family tradition by becoming a winemaker. He studied at the State Academy for Viticulture & Oenologie of Weinsberg in Germany, and went on to make wine in Germany, New Zealand and South Africa. After immigrating to Canada from Germany, Stefanie and Bernd purchased their first vineyard, in OK Falls, in 2003. In 2007, they bought the winery in Summerland. Our BCWAS September bus tour has been there twice, and each time the stop was one of our highlights! 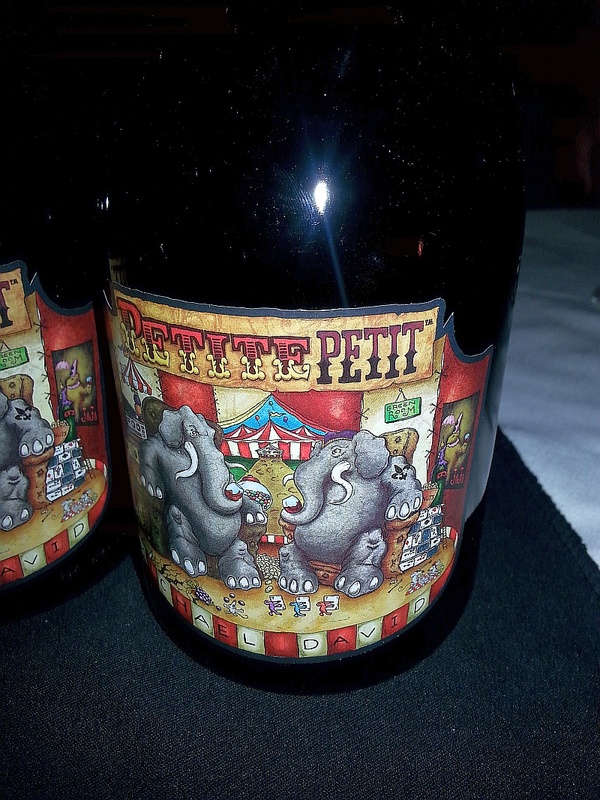 8th Generation makes Chardonnay, Pinot Gris, Sauvignon Blanc, Pinot Meunier Rosé, Pinot Noir, Merlot, and Syrah as well as two frizzante-style bubblies and their flagship Riesling. Stefanie and Bernd with the 9th generation. Photo credit www.spiegel.de. Stefanie is bringing 12 wines with her, so we’ll get to taste almost everything! And because we know how much you love your wine and cheese, we’re also going to have a few platters from Les Amis du Fromage. Place: our regular venue, De Dutch Pannekoek House, Vancouver Convention Centre West, located in the western corner, lower (seawall) level, near the Olympic Torch. Transit: It’s a short walk from both Burrard and Waterfront Stations. From Burrard Station: walk down (north) on Burrard to the new Convention Centre. From Waterfront Station: walk west to the new Convention Centre. You can either walk west along Waterfront Rd to the Olympic Torch, then go across the plaza towards the water and down the stairs, or, follow the seawall along in front of the Convention Centre until you come to the restaurant. Driving: You can park under the Convention Centre West. Follow the signs for the seaplane terminal. Use the doors closest to the Tap & Barrel. Parking can be expensive, though. You may be able to find cheaper parking a few blocks away. As always, we recommend that you take transit, and we will provide you with a free ticket home. Questions? 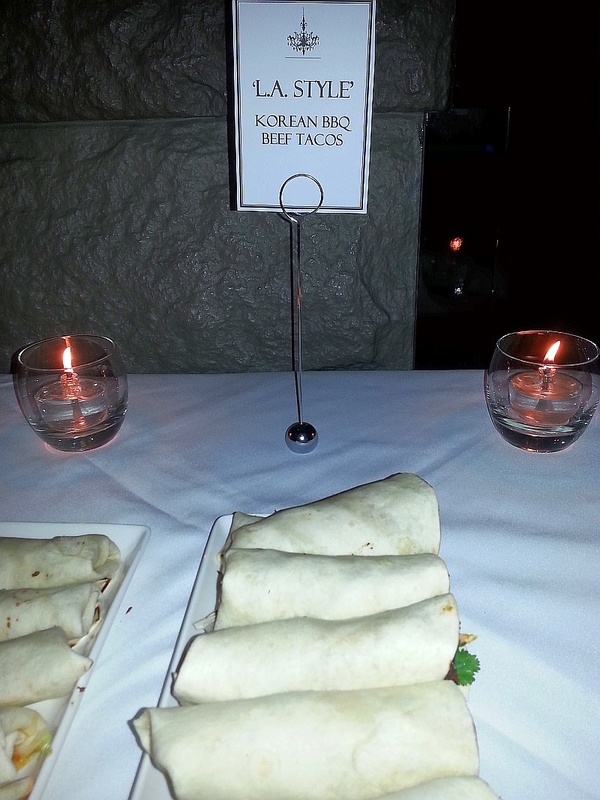 Contact us at events@bcwas.com. Please note: There are no paper tickets for our events. Once your purchase is completed you will be added to our attendees list. Please check in when you arrive. Please make sure you have a safe way home. Take transit, call a cab, or ask a friend to be a designated driver. We will have free transit tickets on hand for those who take BC Transit home. Many of us aspire to the 100 mile diet. Keeping our food local. Supporting our farmers. But here in Vancouver, have you considered that those farmers, might be a 30-45 minute drive away in Abbotsford, in the Fraser Valley? I was invited as part of the Circle Farm Tour to experience an Abbotsford Harvest Dinner, and was pleasantly surprised by the bounty of food, wine and beer that is available. The dinner starting with chatting and sampling local beer from Ravens Brewing Company. This brewery just opened earlier this year and collaborates with local growers and suppliers to craft artisan beer. 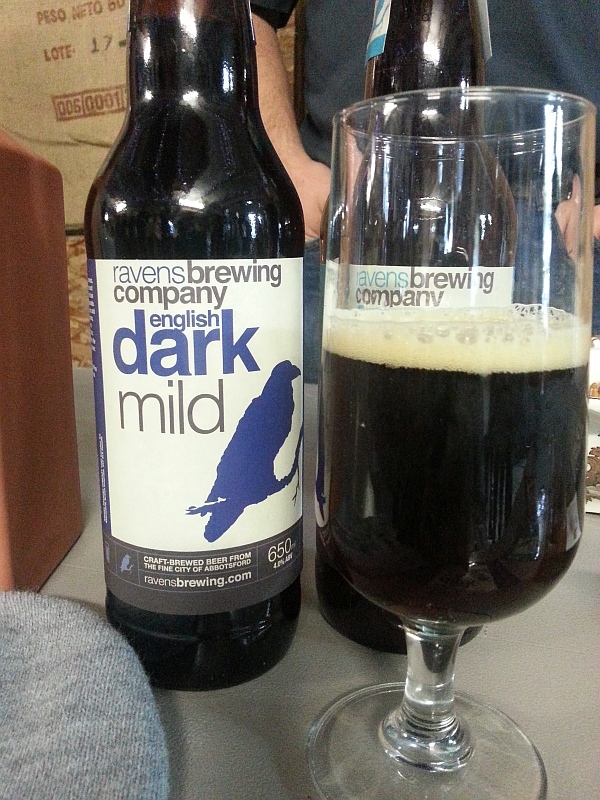 I tried their English Dark Mild. It was indeed dark, with a charcoal and dark malt flavour to it, but not too heavy, so that you can enjoy more food and wine. I must say that it was nice to meet, or have the farmers from Abbotsford introduce themselves to us as we sat at a beautifully set table in the barrel room of Mt. Lehman Winery. Thanks also to Chef Jeff Massey from Restaurant 62 who prepared all these dishes for us. 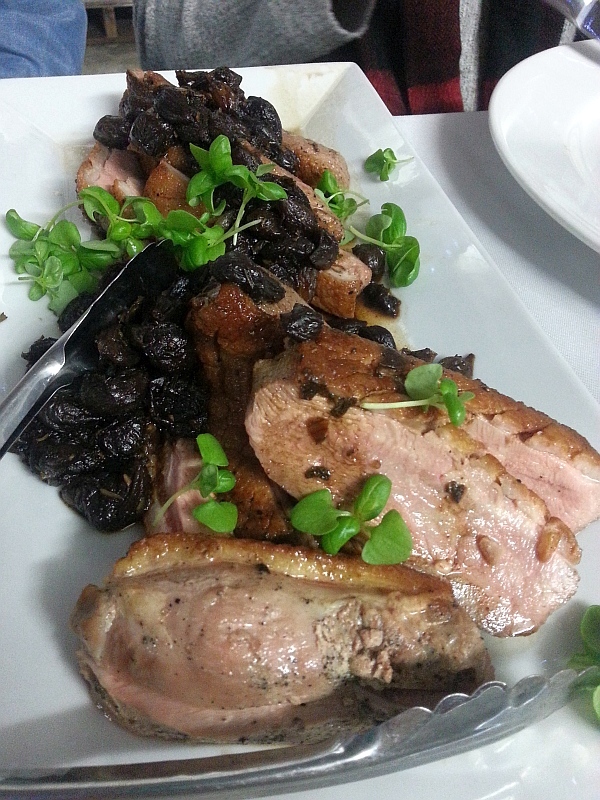 The dishes come from fresh ingredients from the vegetables, to the pork, chicken and duck. 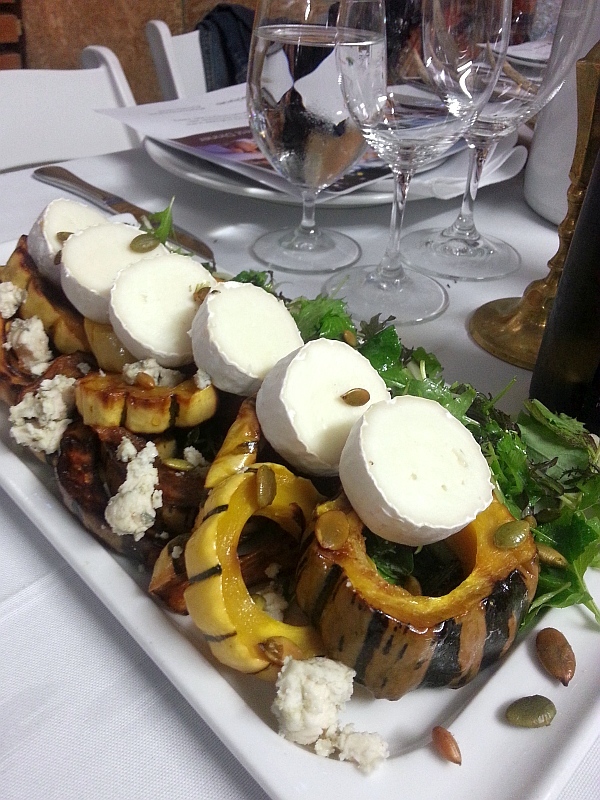 A few standout dishes for me were first the honey roasted local delicata squash with pumpkin seeds and goat cheese. Creamy sweetness from the squash, with creaminess from the cheese and a bit of crunch from the pumpkin seeds. 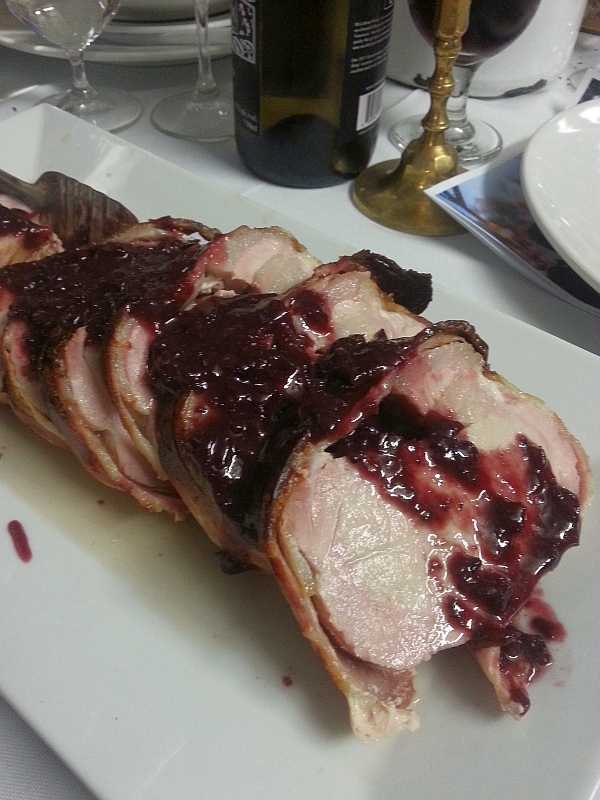 The Lepp Farm Market’s pork loin wrapped in bacon was also outstanding for me. The bacon comes from Lepp, and is smoked by them. No artificially aged bacon here. The flavour of the bacon was really outstanding and makes you think about the industrial bacon you buy in grocery stores. No comparison. 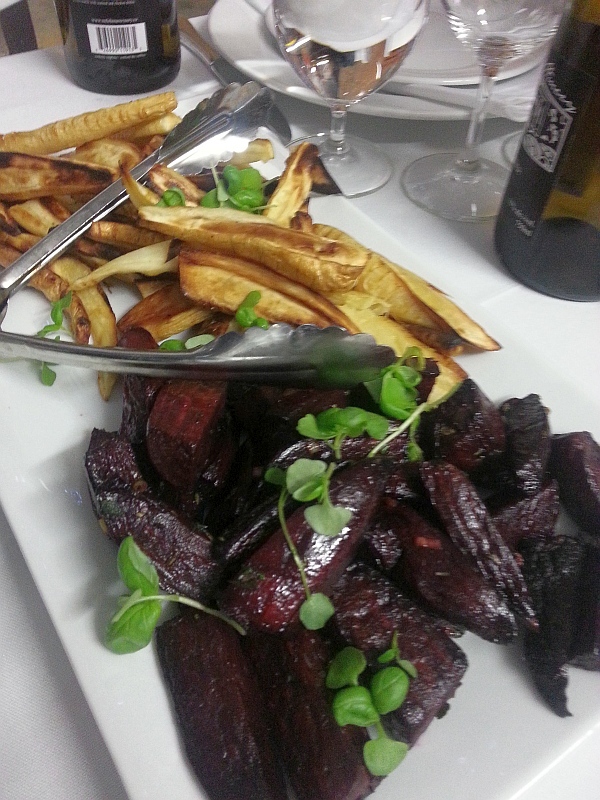 If you have never tried roasted beets, give them a try. I really like the earthiness of the beets. And the blueberry bonbons are also a very tasty way to end dessert. Good quality chocolate mixed with blueberries. You cannot go wrong with this combination. All the dishes were very good, and I present to you pictures of these dishes for your visual consumption below. If any of this food or wine sparks your interest, drive out to Abbotsford and buy from these farmers. I must especially thank winery owner Vern Siemens for opening bottles of every white and red wine I think they make, for us to experiment and pair with all the dishes at our Abbotsford Harvest dinner. I in particular liked Mt. 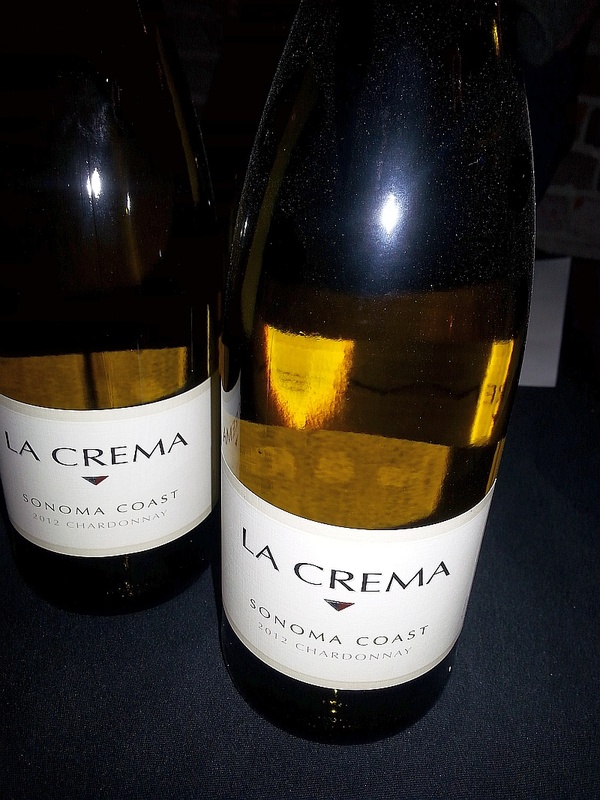 Lehman’s Pinot Noir and Unoaked Chardonnay, and felt they made good pairings with many dishes. Do you ever wonder what words you like to use the most when you are talking about wine, or some other topic that is important to you? I do. 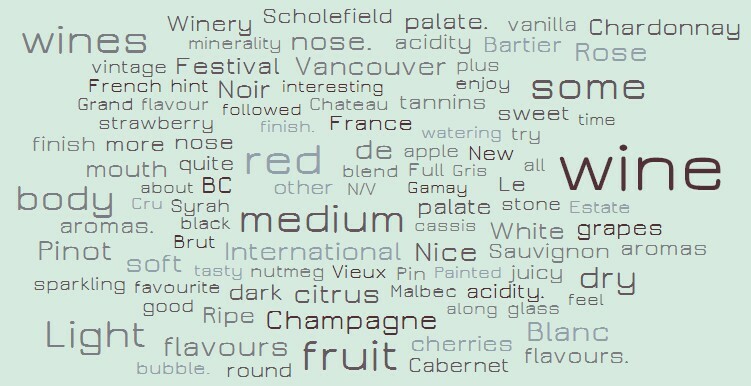 So I decided to try 3 different “Word Cloud Generator” tools on the web to scour through my mywinepal.com website blog entries and find out which words are my most popular. I decided to try more than one tool to see if the tools come up with the same words or are completely different. The results of the 3 Word Cloud Generators and their graphics are below. I left the word clouds in the format produced by the tools rather than try to make the clouds all look the same in shape and text orientation so that you get a better idea of what is produced. Just in case you have never seen a word cloud before, the more frequently a word is used in a blog, document, etc, the larger it appears in the word cloud. Wordle was the first tool that I ever heard about for creating word clouds. From my experience, I think it does a very good job of finding favourite words. Tagxedo also seems to do a good job. Do you notice any similar words to my Wordle word cloud? One thing I notice showing up is Pinterest and Facebook, which are “Like” buttons on my blog, so maybe this algorithm is reading more than just the blog articles. Word it Out was the last of the three tools. I think this word cloud is much more similar to Wordle, but the presentation, as-is, is not too stunning. An interesting experiment that may also give you some insight into what I like to talk about, or wines that I enjoy. You may want to try this with other blogs, or with MyWinePal.com in the future, as theoretically each new article I post can potentially change the word cloud! 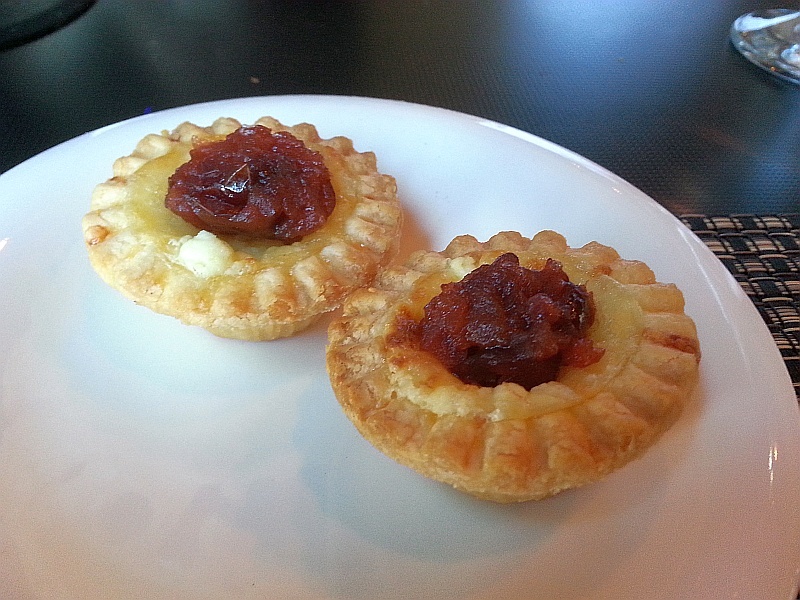 Before starting our server brought us some Amuse Bouche, which was an Ementhal cheese tart with cranberry compote. It had a light buttery/nutty taste from the cheese and a some tartness from the cranberry. A nice flavour combination and a tasty start to what was to follow. 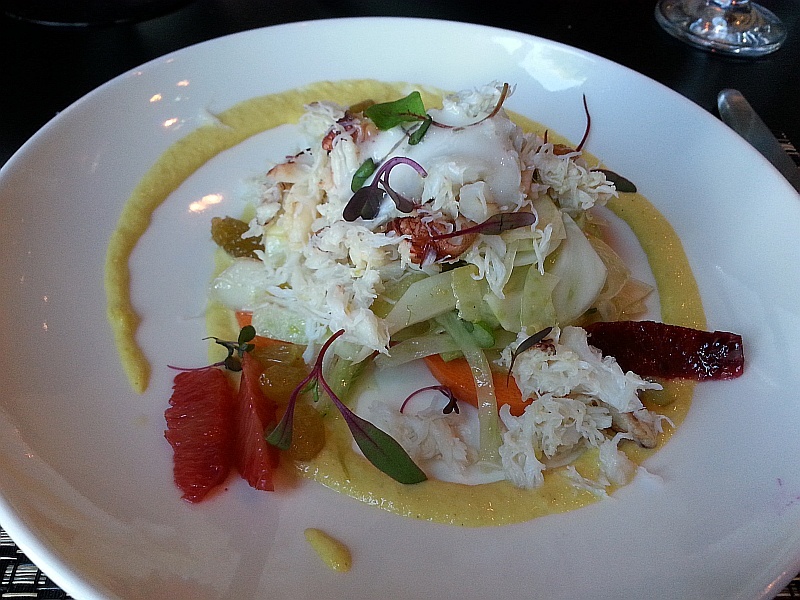 Probably my favourite dish was the Dungeness Crab Salad Shaved Fennel and Lemon Foam. Real crab meat was used in this dish, and not just a little bit; a significant amount of crab meat. The fennel was shaved, not paper thin, slightly thicker so it had some body. The fennel flavour was very light and not overpowering. I liked getting a bit of the blood orange with the crab and fennel as it added a citrus component to the dish. This dish is well worth $18 on it’s own. The plating was also quite beautiful. My main course was the Roasted Halibut with Spinach Risotto and Lemongrass Emulsion. 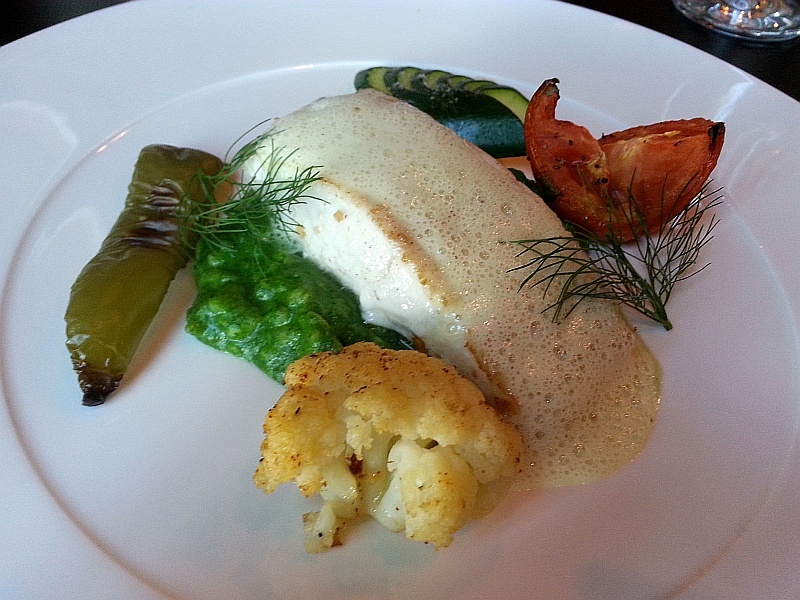 The halibut was cooked perfectly, not overdone. Very soft to the fork. The lemongrass emulsion added that citrus component that goes so well with seafood. 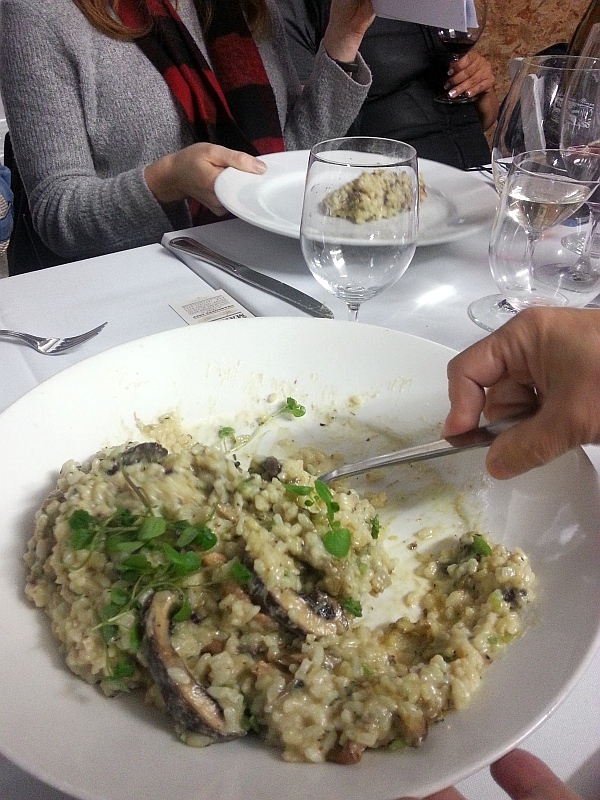 The spinach risotto was also a nice complement adding some texture and green flavour (I could not specifically tell it was spinach I was tasting). I also like the simply grilled vegetables. No heavy sauce was needed for the vegetables. On their own with a bite of the halibut let the flavour of both come out. What wine did I try with both these dishes? It was the Calona Vineyards ‘Artist Series Chardonnay. 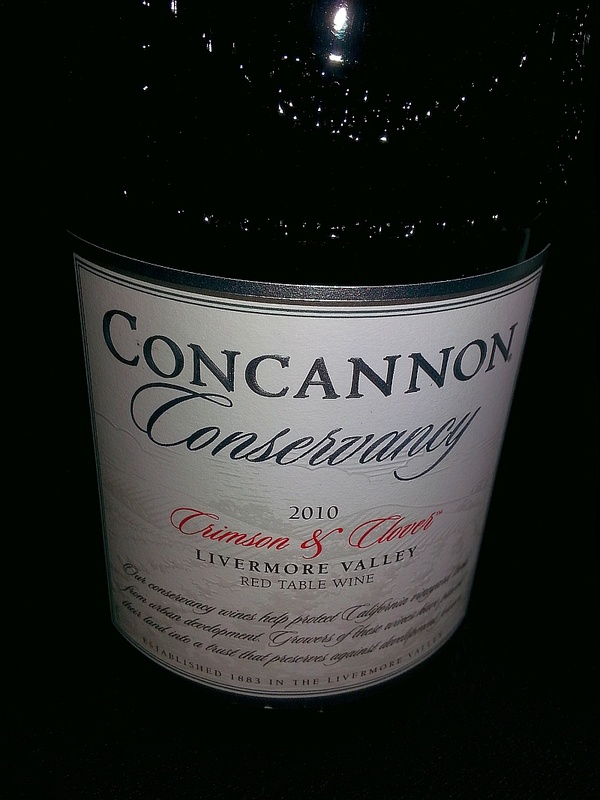 This is an unoaked chardonnay with citrus and stone fruit flavours which went nicely with both seafood dishes. 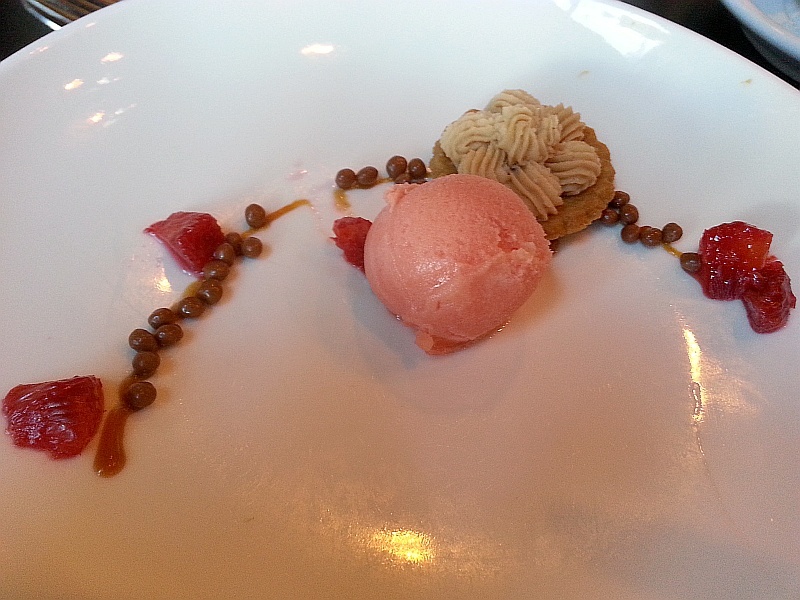 My last dish, dessert, was the Hazelnut Tart Blood Orange, with a strawberry or raspberry sorbet (sorry couldn’t tell). The little pearls you see on my plate are made from milk chocolate. 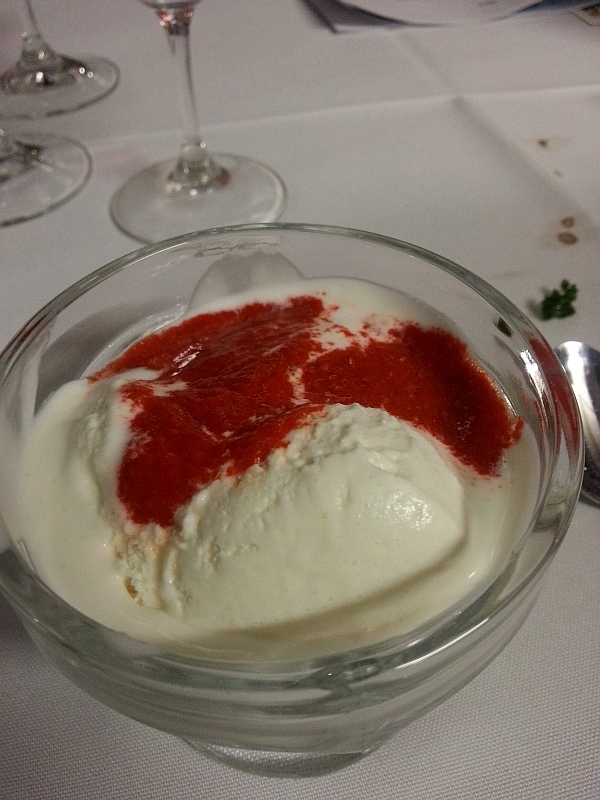 The hazelnut flavour was delicate and was nice with the tartness of the sorbet. My only complaint was the tart was quite small and I would have enjoyed a larger portion to enjoy with my coffee. But it was a nice dessert. 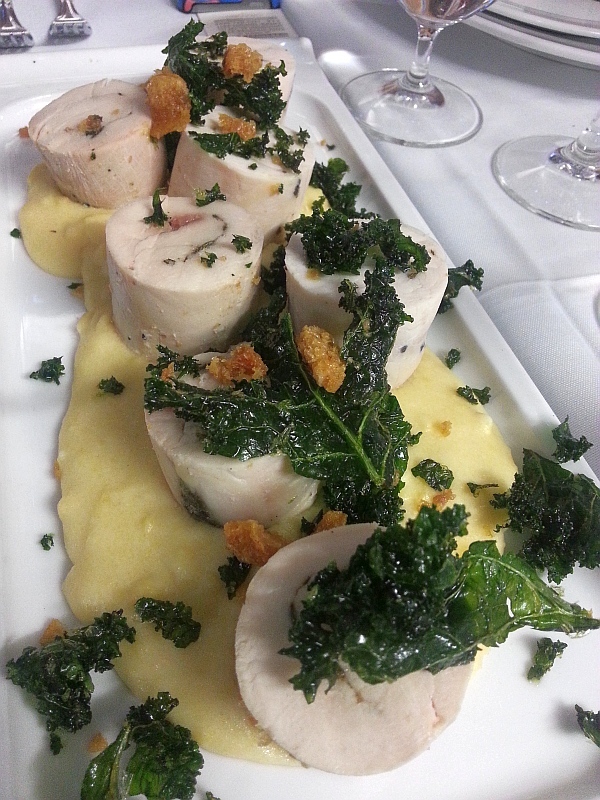 Overall I think the students at PICA – Bistro 101 did an excellent job. My server Rebecca was very attentive and enthusiastic about food and wine. Come see the possible Iron Chefs of tomorrow. If you are interested in trying Dine Out Vancouver at PICA here is the web link. With the FreeMyGrapes movement pushing for opening up the flow of wine across provincial borders, Toronto-based FoodiePages.ca has joined forces with several boutique Canadian wineries to offer this new monthly wine subscription. Each month, Canadians can experience some of Canada’s best small lot wines, shipped direct from the winery to their home or office. Here is their press release. Maybe a good Christmas present to your spouse or significant 0ther (and to you). TORONTO (Dec. 9, 2013) – FoodiePages.ca, the new online marketplace where you can buy directly from Canada’s best small batch food and wine makers, announced today the launch of the Hidden Gems Wine Subscription, a convenient way to access hard-to-find small lot Canadian wines. “The Hidden Gems Wine Subscription is a way to connect Canadians with amazing Canadian vintners, providing customers with the best small lot selections from British Columbia and Ontario,” says FoodiePages.ca CEO Erin Maynes. Wine enthusiasts* can expect a monthly shipment delivered to their doorstep. Each Hidden Gems Wine Subscription shipment contains 3 bottles, handpicked by Canada’s top small lot winemakers. 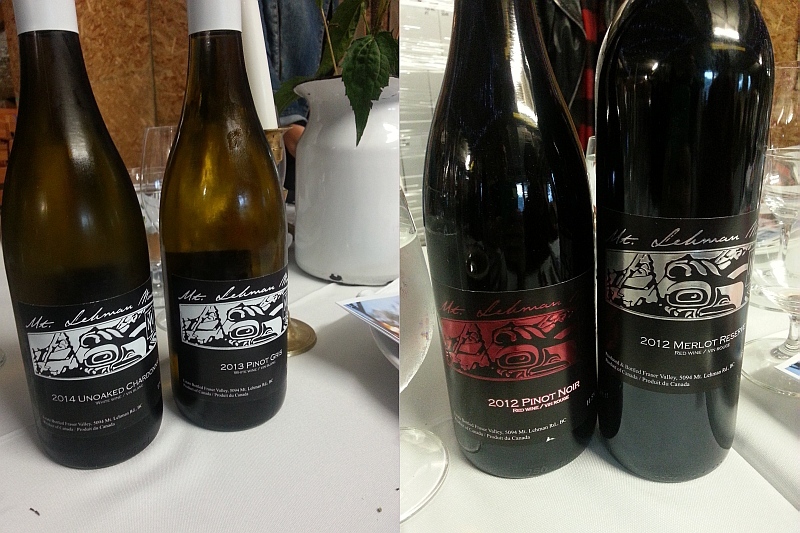 A British Columbia winery is featured one month, and an Ontario winery the next. Each wine is paired with a recipe crafted by a top Canadian chef, allowing members to create delicious food and wine pairing experiences at home. Convenience: 2-3 bottles shipped direct from a top Canadian winery to your door, every month. Variety: We’ll alternate a BC winery one month, and an Ontario winery the next. Jak Meyer and Janice Stevens purchase a small 1.62 hectare vineyard on the Naramata bench in 2006, and 3.9 hectares in Okanagan Falls two years later. They hired the best winemaker and viticulturists and focused on small lot single vineyard wines made in the traditional of Burgundy style. Today Meyer Family Vineyards produces less than 3000 cases from mature 14 year old vines, making some of the finest wines in the Okanagan (MFV was one of the top 10 vineyards in Canada at the 2013 National Wine Awards). 2012 Gewürztraminer – Made in the traditional Alsatian style to enjoy as an aperitif or to accompany a wide range of cuisine, especially Thai, Mexican and spicy dishes. Aromas of Lychee or Turkish Delight, citrus and spice. Let’s celebrate Canadian winemakers – subscribe to the Hidden Gems Wine Subscription here. * Only available to customers with shipping addresses in British Columbia, Alberta, Ontario, Manitoba and Prince Edward Island. Customer must be over 19 years of age, and someone over 19 must receive the shipment. 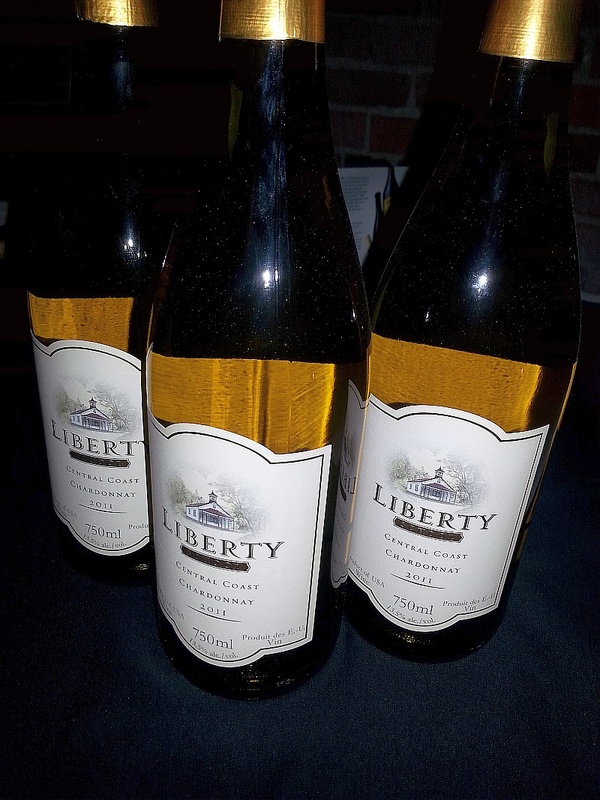 Winemaker Howard Soon only crafted ten barrels of this elegantly styled, medium-bodied Chardonnay. Delight in the rich flavours of tropical fruit and honeydew melon that refresh the palate with a round mouth-feel. 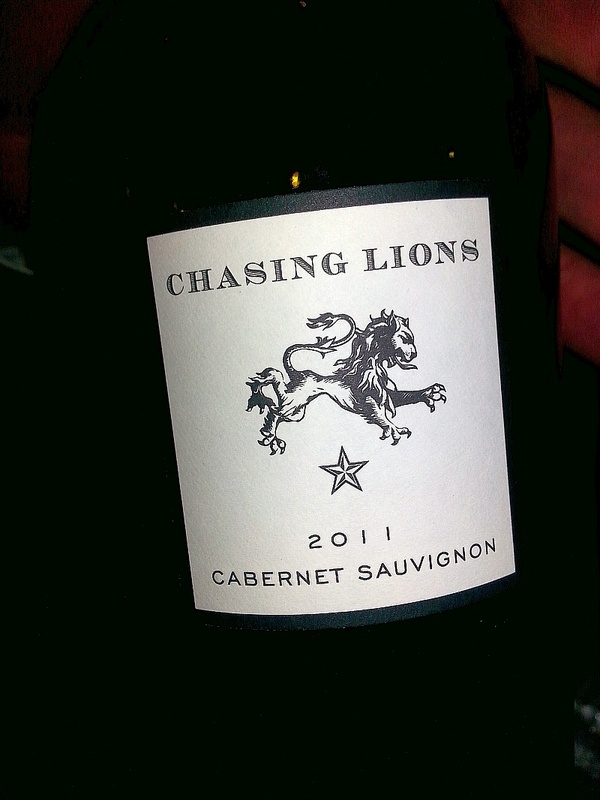 Notes of spicy oak, custard and cream carry through on the smooth finish.